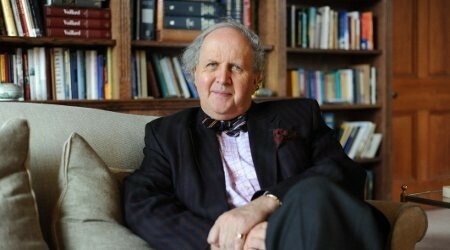 We are delighted to welcome the brilliant raconteur – Alexander McCall Smith – once again to Ely . Throughout all his wonderful series – from No. 1 Ladies Detective Agency, Isabel Dalhousie and Bertie, and 44 Scotland Street, his warm and witty prose has delighted millions of readers. Alexander is a magnetic speaker; his hilarious discussions of his writing career, his previous life as an academic, the charm of Edinburgh and his wry observations of British life are unmissable. Join us for a delicious three-course lunch at The Poet’s House with one of our most well loved writers – a fantastic chance to hear Alexander McCall Smith in action once again! Fizz reception at 12pm, lunch at 12.30pm, followed by coffee and petit fours.